Davenport Bureau. Shown in cherry. 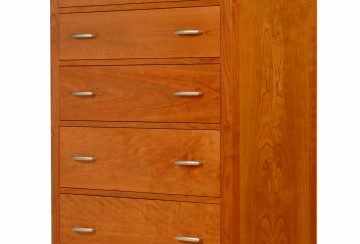 The Davenport dressers are steadfast favorites among our customers. They are a timeless design with their distinctive arching curves. The Davenport Bureau: two small drawers side by side over two long drawers.